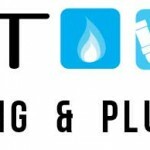 Gas Boiler Replacement Cost – OK, so your gas boiler is bang jacked and you know it’s ten years old, the parts are impossible to source now, the boiler is out of warranty and you have come to the realisation that, you are now online and trying to budget next month’s wages include the cost of a gas boiler replace. As you read this blog post, you have just typed in ‘gas boiler replacement cost’, you want to become a little bit informed before you get a gas boiler replacement quote. Or you just can’t bear the suspense and you want to know the cost of a gas boiler replacement! Well, we will try and help if we can with this ‘gas boiler replace cost’ blog post! In simple terms you are talking in the region of between 1500 and 2000 euro. Now, you can go budget and you could pay 1000, but in the long term you are asking for complications and there is a good reason a budget gas boiler replacement is cheaper. The technology isn’t as advanced, the parts maybe not the highest quality, the fuel efficiency maybe not as good. Think Duracell versus some cheaper battery (I don’t want to leave the company open to libel!!! Now, there is a grant available for gas boiler replacements which will offset the gas boiler replacement cost, 700 euro in fact, this is a green initiative (maybe forced by Europe!) however, there is no doubt that new gas boiler are more efficient and are far greener than older models. Remember, Boiler Repair Dublin covers all types of heating and control systems in Leinster and throughout Ireland, so feel free to call the team on 01-5397223, email: info@boilerrepairdublin.com or fill out the gas boiler replacement cost make an appointment form.